The Institute of Classical Archaeology conducts research into the material culture and art of ancient civilizations, particularly Ancient Greece and Rome. Members of our Institute are primarily interested in exploring and evaluating the development and expansion of ancient cultures in the Mediterranean, Central and Western Europe, and the Near East and Central Asia. Other topics on our research agenda include archaeology of Roman provinces with a focus on Central and Western Europe, while our cooperation with the Czech Institute of Egyptology revolves around research into late Roman settlement in the Western (Libyan) Desert – the el-Hayez Oasis. 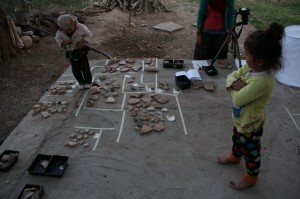 Cooperation with the Institute of Archaeology at the Academy of Sciences of Uzbekistan in Samarkand brought us to the locality of Jandavlattepa, while the Termez State University is our partner in prospecting the Sherabad Oasis and excavations of early Iron Age sites in the steppes of Southern Uzbekistan. 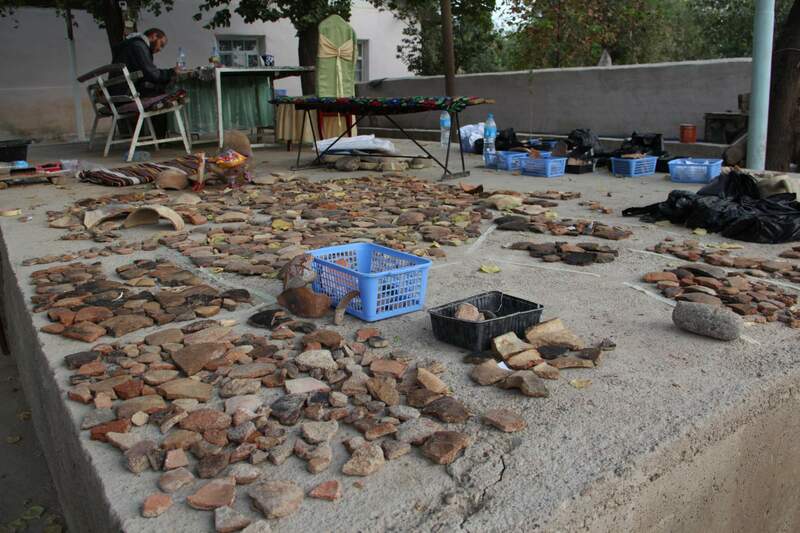 Recently, a young team from our Institute started an excavation in cooperation with the Regional History museum in Yambol, Bulgaria, at a Roman site Yurta (Stroyno). 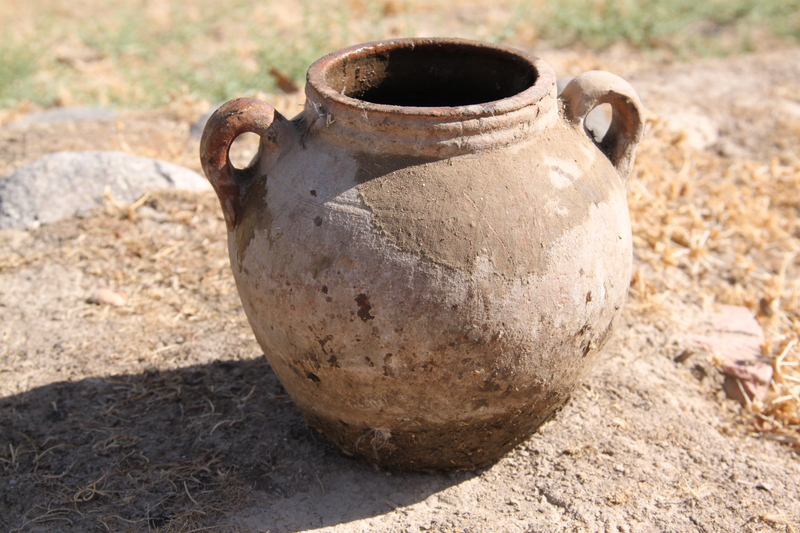 Chronologically, our research spans from the formation of Mediterranean cultures in the Bronze Age (Minoan Crete, Mycenaean Greece), the early Iron Age (Sub-Mycenaean period, Geometric Greece) until the formation of Classical Greece (archaic, classical and Hellenic periods), Italy (Etruscans) and the Roman Empire. The Institute for Classical Archaeology runs two institutions based outside Prague: Gallery of Graeco-Roman Art in Hostinné, and Museum of Ancient Sculpture and Architecture in Litomyšl (relocated to Ústí nad Labem in 2011 and again to Castle of Duchcov in 2014), both storing and displaying the Charles University collection of plaster casts of ancient sculptures. Members of the Institute of Classical Archaeology have recently been involved in a broad research programme Czech Lands in the Middle of Europe: Past and Present, aspiring to provide a universal understanding of Czech history and the status of the Czech Lands from a broader perspective of late prehistory and early history. The Institute has also been taking part in the programmes for the Development of Fields of Study at Charles University no. P12 History from the Interdisciplinary Perspective and P14 Archaeology of Non-European Regions. Major projects include those conducted in cooperation with the Bulgarian Academy of Sciences, exploring Thracian, Celtic and Greek settlements in the Balkans in the second half of the First Millennium BC. 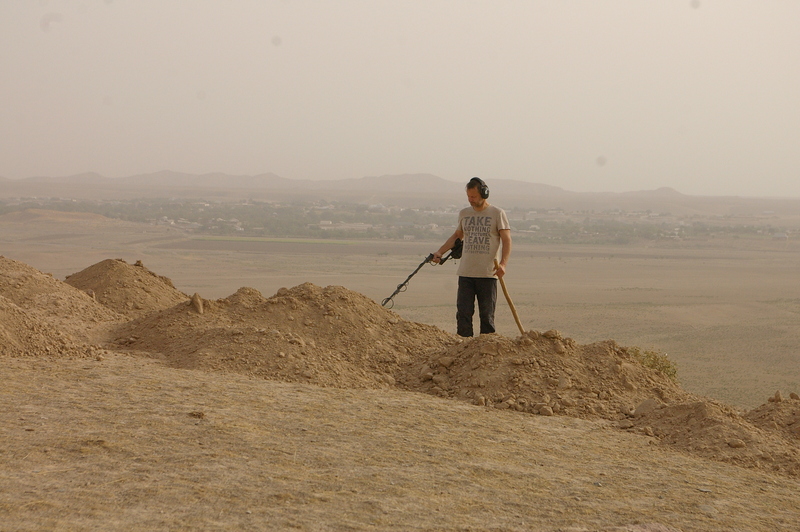 In 2002–2006, research activities took our team to Southern Uzbekistan (Jandavlattepa), and cooperation was established with the Institute of Archaeology at the Academy of Sciences of Uzbekistan. In 2008 our team began archaeological prospection of the entire Sherabad Oasis, in partnership with the Termez State University, focusing recently on Early Iron Age in the piedmont steppe area. 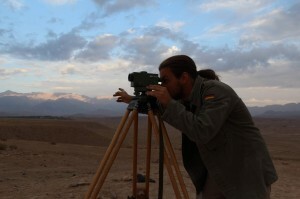 Our cooperation with the Czech Institute of Egyptology, started in 2004, has focused on research of the Western Desert of Egypt. Recently, the Institute has finished several projects on ancient traditions in Czech and Central European art, especially in partnership with the University of Vienna. The National Museum in Prague is our partner in exploring Czech collections of ancient artefacts. The Institute for Classical Archaeology is the publisher of the journal Studia Hercynia, eighteen volumes of which have appeared so far. The journal is devoted to classical archaeology and ancient traditions. Another major publication series, Pistiros I–V, contains excavation reports and studies explaining our research project in Pistiros. The new series of excavation and survey reports concerning our research in Uzbekistan started with first volume Jandavlattepa I. Several other monographs has been recently published by Karolinum Press. Eirene, Studia Graeca et Latina is a joint publishing project with the Academy of Sciences, featuring several monographs (Beirut, Pistiros). The project Corpus Vasorum Antiquorum has so far resulted in four volumes devoted to ancient vases in Czech collections. Other joint publications with the Institute include Corpus Signorum Imperii Romani, whose first volume, devoted to Roman sculptures in Czech collections, appeared in 2000, and the project Lexicon Iconographicum Mythologiae Classicae (entries, fiches, editorial office in Basel). Both these projects are conducted under the auspices of UNESCO. 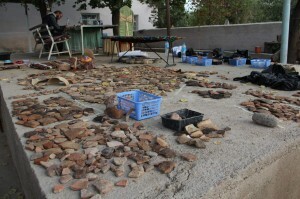 Our major international partners include the Institute of Archaeology of the Bulgarian Academy of Sciences and the University of Liverpool, both co-operating with our Institute in a joint research project of the Pistiros Emporium in Bulgaria. A new project at Stroyno is conducted in cooperation with the Regional History Museum in Yambol, Bulgaria. Our projects in Uzbekistan are conducted in partnership with the Institute of Archaeology at the Academy of Sciences of Uzbekistan in Samarkand and the Termez State University. Another key partner is the University of Vienna (Institute for Classical Archaeology); our co-operation involves research in ancient art traditions and has resulted in several conferences and published proceedings. Locally, we have developed close partnership with the National Museum in Prague in post-excavation work and exhibitions. 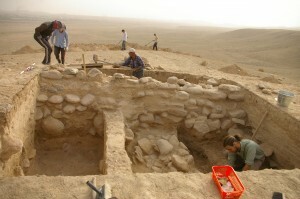 Our long-established partnership with the Institute of Archaeology of the Academy of Sciences of the Czech Republic revolves around field projects (Uzbekistan, Egypt). In partnership with the University of Vienna and with support from the AKTION Programme, our Institute has so far held three conferences on ancient traditions in Central European art. The Ecole Pratique des Hautes Etudes in Paris has been our partner in organizing five conferences entitled Les Celtes en Europe centrale et la Méditerranée (the Barrande Programme). Furthermore, the Institute is one of the organizers of an annual event bringing together Czech and Slovak scholars in classical archaeology. In 2004, we organized the Third International Black Sea Studies Congress, receiving approximately 150 participants. Recently, we have organized the international conference Contacts, Migrations and Climate Change 2015 in honour of Prof Jan Bouzek, as well as two national scholarly meetings Jan Bouzek a české země (Jan Bouzek and Czech Lands) and Malá velká umění (Little Big Arts). On a regular basis are held student conferences entitled Perspectives in Classical Archaeology (since 2012).